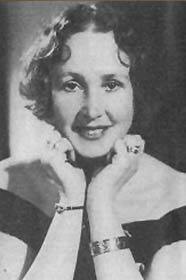 Today is the 20th anniversary of Eleanor Hibbert’s passing on January 18, 1993 and in honor of her memory I have taken on her first suspense novel, published in 1960 under the pseudonym Victoria Holt—Mistress of Mellyn. While I have previously read The Queen’s Confession and My Enemy, the Queen, both biographical historical novels have the exact same quality and style of her Jean Plaidy novels. In fact, I am unsure why they were even published under Holt, unless it is was to keep with the pace of publishing one Holt novel each year (as two other “Jean Plaidy” novels were published during those same years). Mistress of Mellyn is different from Plaidy, Kellow and Tate novels in that it is undeniably of the mystery and suspense genre, and though may be labeled “Gothic Romance”—with tacky vintage covers to accompany the brand—they are no more romantic than her other works, or at least not in the sense of today’s romance novels. Noticeably missing, if the reader is familiar with Plaidy novels, are the abundant archaic and uncommon words, historically accurate timelines and the politically infused drama centered on royalty. The characters of this particular Holt novel are completely fictional and not found in history books or other literature, however are well-rounded and make a very interesting story, most notably for the array of differing personalities represented. From dark and mysterious, to light and humorous (and the in-between Miss Prim-and-proper Martha herself), there is a plethora of possibilities to analyze when solving the mystery of Mellyn. Much is written on the landscape of Cornwall and details of its history and customs, so it is not completely void of all the attributes that make Jean Plaidy novels enjoyable for historical enthusiasts. From the moment Martha Leigh first glimpsed the cold, brooding manse high on the fog-shrouded Cornish cliffs, she felt a chill of apprehension. Then she met her employer, the arrogant master of Mellyn, and his spoiled, headstrong daughter, Alvean, and knew why the three governesses before her had left the eerie mansion. Slowly, almost imperceptibly, Martha began to be aware of an atmosphere of menace. There had been whispers of past horrors, warning of violence yet to come—and now there were the strange accidents. It was madness to stay on. But Con TreMellyn’s dark charm had overpowered Martha’s natural caution. Against her will she fest irresistibly drawn to the handsome, enigmatic master of Mellyn. Set in the Victorian era, Mistress of Mellyn is the story of Martha Leigh, a gently born daughter of a parson, who failed to attract a husband during her “coming out” year, though her younger sister succeeded in this endeavor. As such, she doesn’t have a very high opinion of her charms and takes her new role as governess very seriously, determined to succeed in her apparent calling. 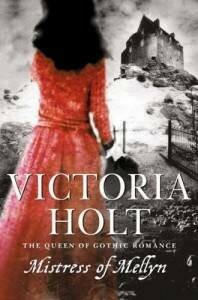 When she arrives at Mount Mellyn, a large Elizabethan castle on the Cornish coast facing the sea, she immediately feels an eerie presence and quickly learns the sordid details of the demise of her young charge’s mother, Alice. As the weeks pass by she finds herself very curious about Alice’s mysterious past, and the master of the house, Connan TreMellyn. Her fascination with the latter both excites and frightens her, as she begins to suspect he may have had a hand in his wife’s death. There is an intriguing cast of characters alongside the prim but excessively likable Miss Leigh—the humorous Peter, and his friendly sister, Celeste, who are from a neighboring estate. The daughter of the house, Alvean TreMellyn, is obstinate and a bit selfish, but Martha soon finds the chinks in her armor and sets to win her over while teaching her proper behavior—something three governesses before her failed to achieve. The Cornish speech and customs of the servants really serve in bringing them to life and making Mount Mellyn into a tiny world of its own, which is ultimately a little sad to leave behind. The author fortunately wrote a few pages past the climactic ending to tie up loose ends. This is a very satisfying read!